Product Fulfillment Services | eCommerce Order Fulfillment House | eFulfillment Service, Inc.
to store their inventory and quickly fill their orders using seamless technology. Discover how eFulfillment Service is different. Click the video above to learn more about our fulfillment center. Learn more about our complete order fulfillment services. Monitor your inventory and orders anytime, anywhere. Learn more about our advanced order fulfillment software. Learn more about how our team is at your service. Free integration with your shopping cart or eCommerce platform. Send us some inventory and then send us some orders. Monitor everything through our easy-to-use order fulfillment interface. We know you’ll be impressed with our storage and fulfillment services. But if not, at the end of 30 days, we’ll refund any costs/fees you’ve incurred—even shipping costs—up to $250. Get the complete details of our free fulfillment trial period. 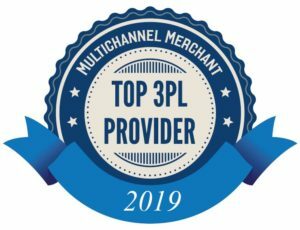 eFulfillment Service is proud to be named a “Top 3PL Provider” within the order fulfillment industry by Multichannel Merchant, a leading resource and guide focused on ecommerce, marketing, and operations. Each year, the Inc. 5000 list compiles the most entrepreneurial and fastest growing companies in America. eFulfillment Service is proud to have made the list two out of the last three years. eFulfillment Service maintains an A+ rating with the Better Business Bureau. We have a long, proven track record of consistently operating in a professional, transparent and ethical manner. Already integrated with many popular shopping carts and systems! “Since 2004, our company has utilized eFulfillment Service…While many thousands of packages have been sent, the error rate has been virtually non-existent. Orders are fulfilled, packaged and sent in a timely manner. When To Hire a Professional Fulfillment Service?